Making your own environmentally friendly cleaning products is simple, and you probably have most of the ingredients at home! 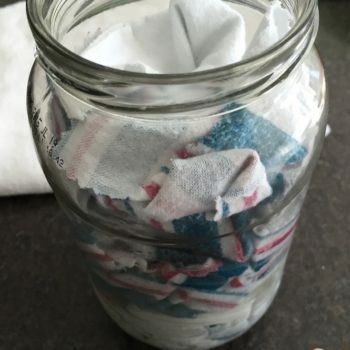 Learn to make reusable counter wipes in this hands on workshop. Bring an t-shirt you don’t mind cutting up for the project, additional supplies will be provided. Becca is the Outreach and Education Coordinator at Menomonie Market Food Co-op and loves sharing her knowledge on health and wellness.